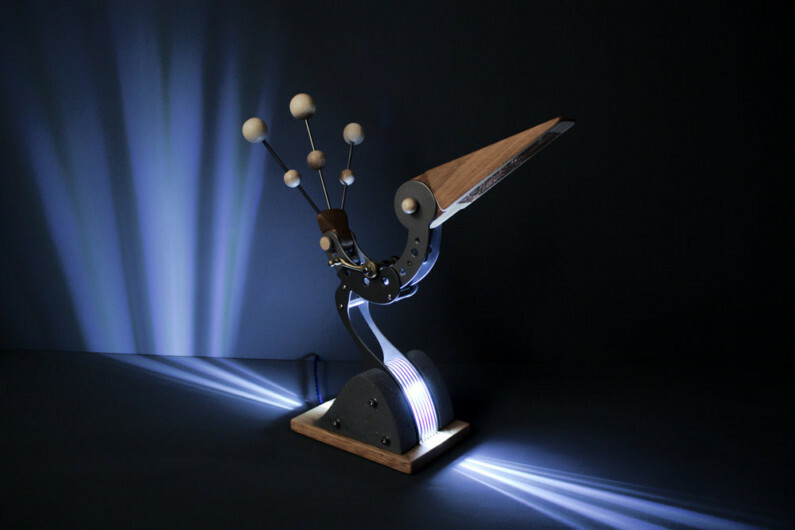 Dan Morrison combines artistry with engineering to create his intriguing sculptures. 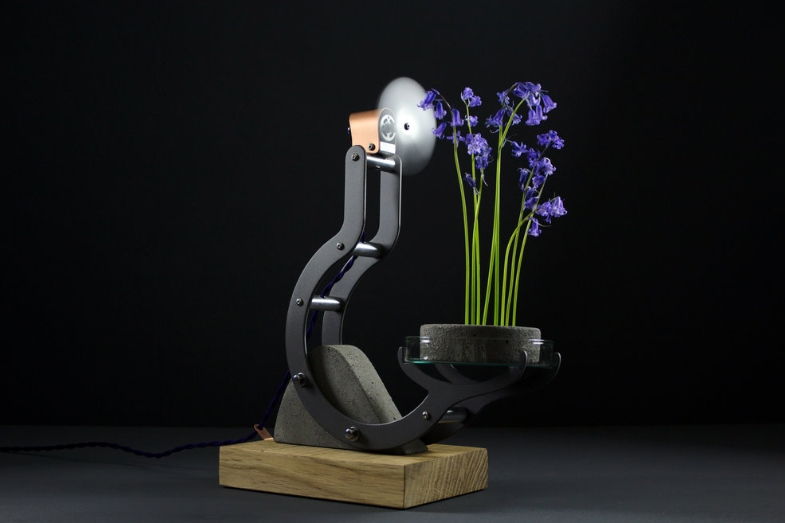 With beautiful form combing a mixture of industrial and natural materials, his creations are guaranteed to make you smile. Seeing Dan’s work at several exhibitions I just cannot resist the temptation to turn a handle and see what happens. 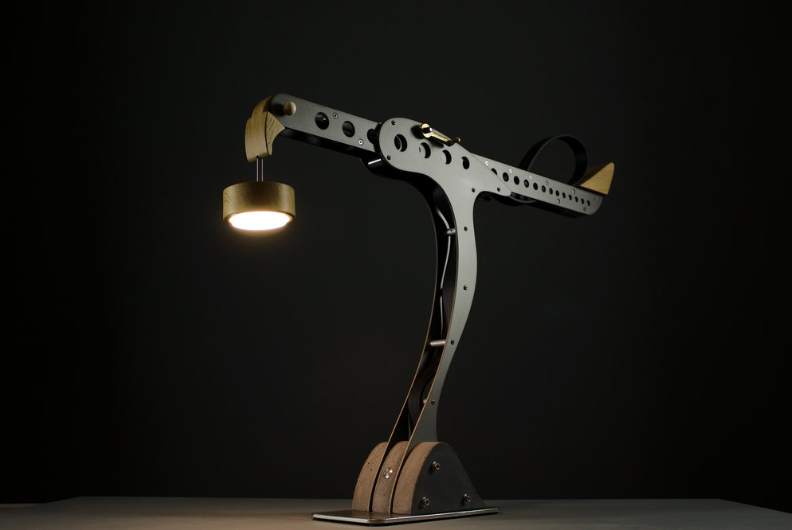 The bird that is styled like a crane and extends its neck is also a lamp. 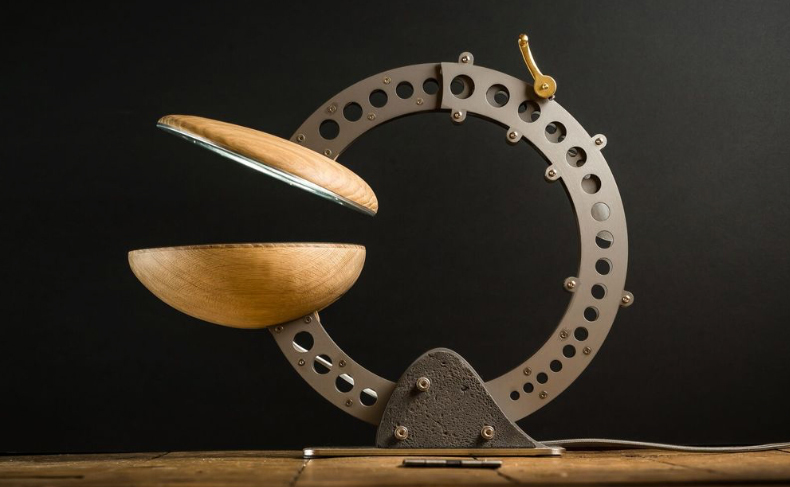 As an artist-engineer Dan is focusing on functional sculpture, as he likes the idea that people are actively using pieces as part of their daily lives. 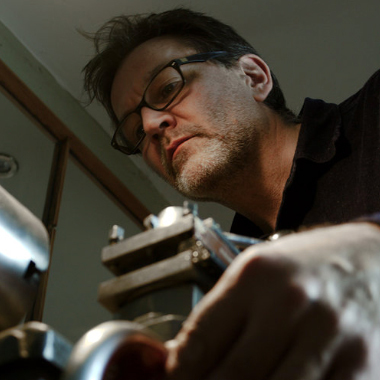 Dan began his career making musical instruments, after graduating from an engineering degree. He then went on to study computer science and designed internet applications. This background has led to Dan starting his own company BLOTT WORKS – producing the amazing creative sculptural mix of engineering and design that Dan creates today. 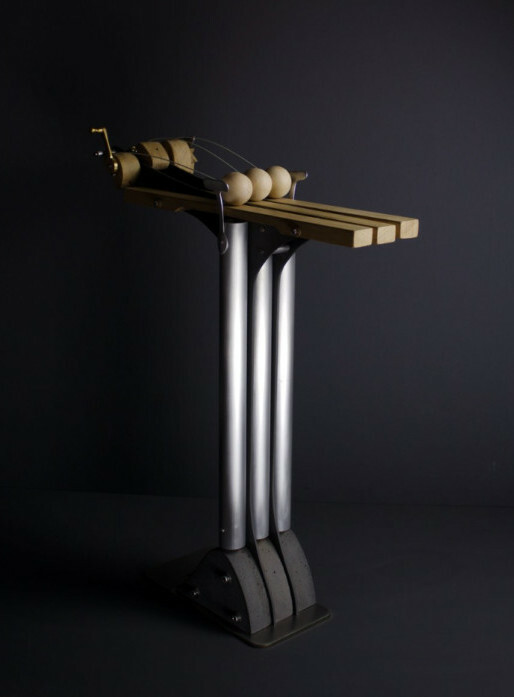 All of Dan’s work is constructed from raw materials: aluminium, brass, steel, oak and concrete. His pieces having a contemporary look that fits in with modern aesthetics, yet still have a timeless quality about them. Turn the handle to rotate the body forwards or backwards and adjust the head and tail. Turn the handle to extend the head and lamp. Turning the handle opens the shell changing the angle of lighting. The lower dish can be filled with coloured glass to filter the light. 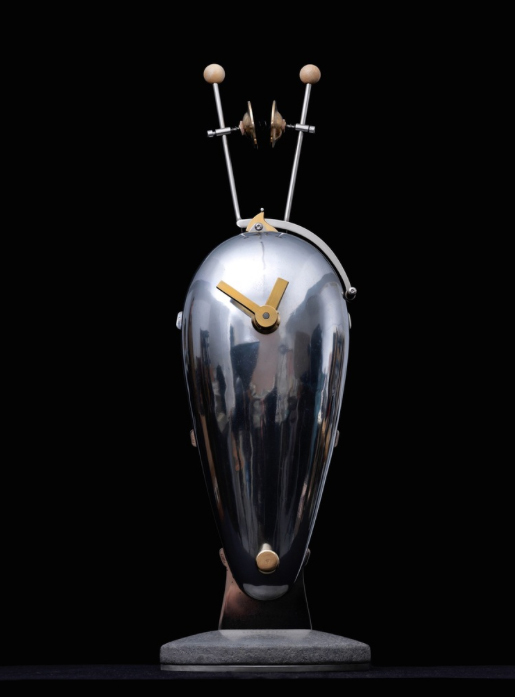 Unique statement timepiece, featuring kinetic timer, crafted from sandcast aluminium, stainless steel, with brass fittings and concrete base. Designed with artist Andy Plant this has real biker style. Turning the handle on this design produces a random and chaotic stick movement. Producing a sound similar to moving water or air. See the stem dance in a gentle breeze and catch their fragrance wafting around the room. The Unique quality of Dan’s work means that he is frequently featured in Craft publications. 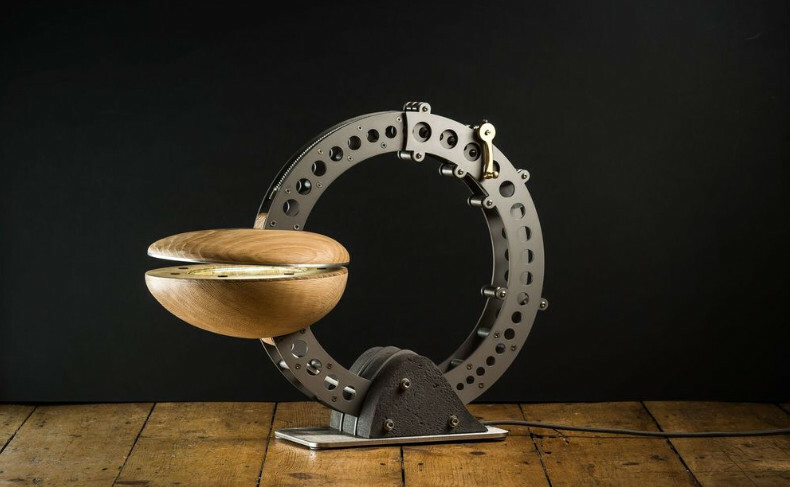 He was also awarded the winner of the 2016 Craft&Design showcase award at The Great Northern Contemporary Craft Fair.